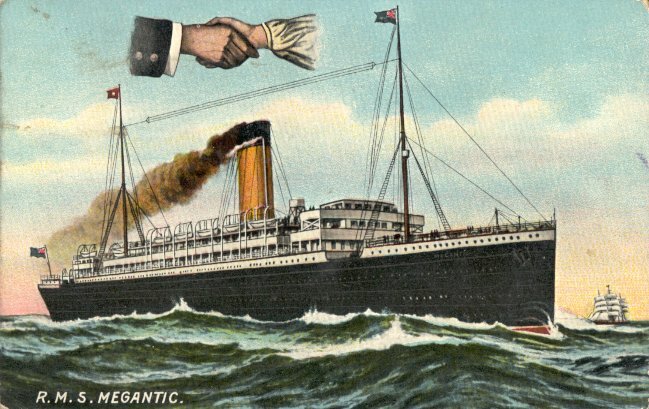 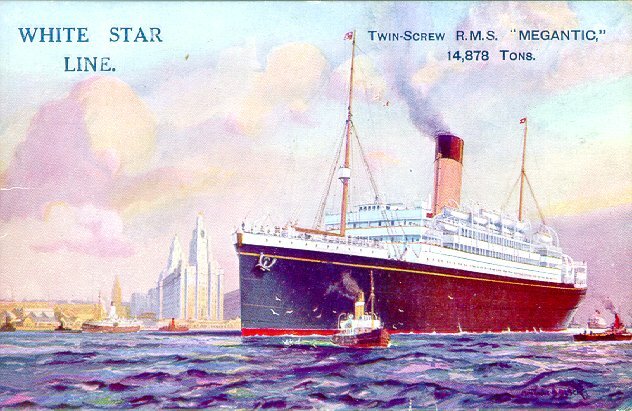 Built by Harland and Wolff, Belfast, Megantic was laid down as Albany for the Dominion Line but was transferred to White Star before her launching in 1908. 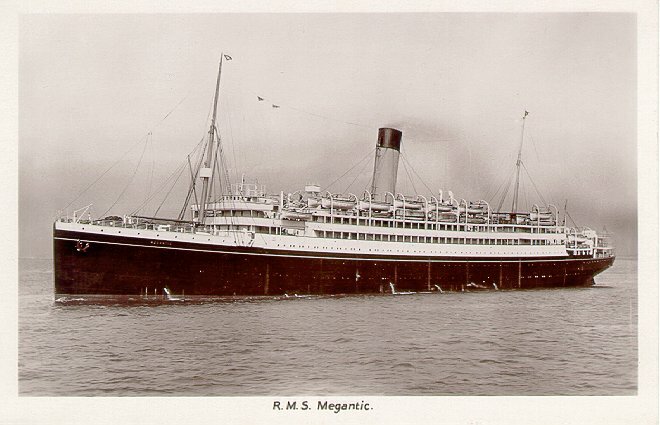 Megantic was Laurentic's sister, but the two had different propulsion systems. 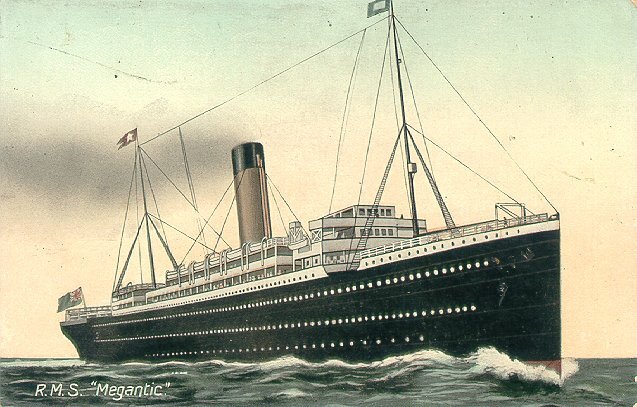 Megantic was fitted with traditional quadruple expansion engines while Laurentic had triple expansion engines exhausting into a low-pressure turbine. Laurentic's engines proved to be faster and more economical to operate so this configuration was eventually used in White Star's Olympic-class liners, among others. 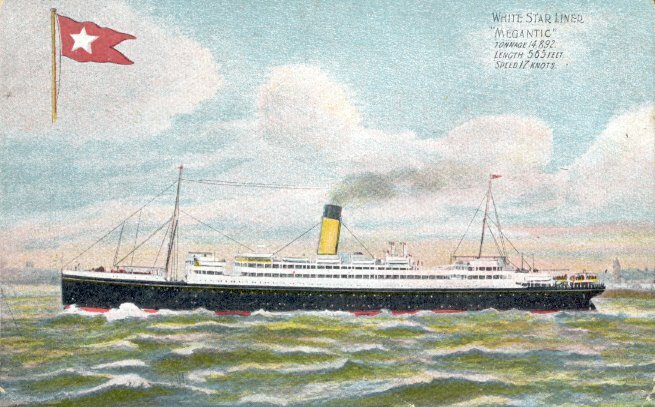 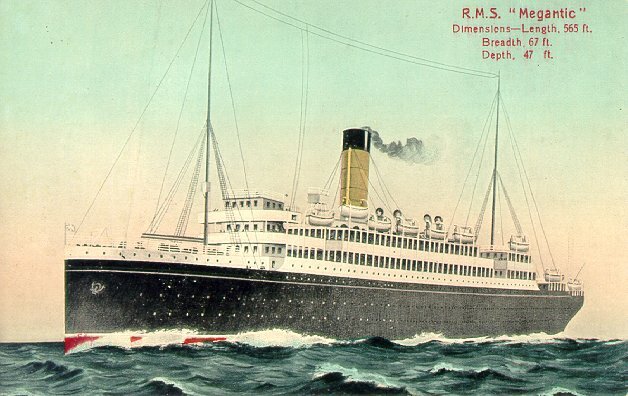 Megantic made her maiden voyage from Liverpool to Montreal on 17 June 1909. 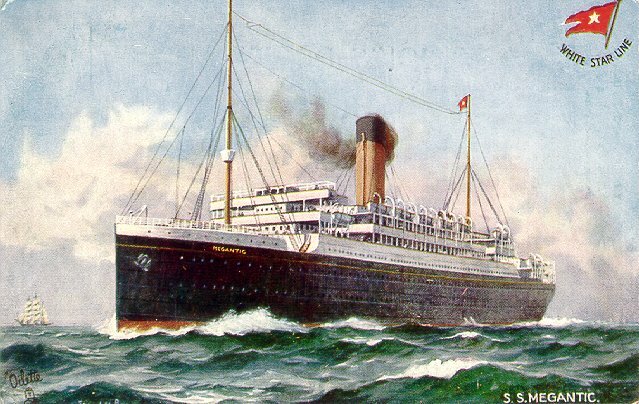 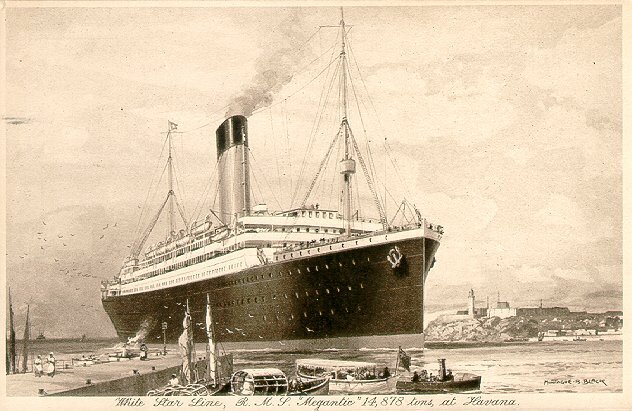 She remained on that route until World War I, when she was briefly placed on White Star's Liverpool-New York service until being called into service as a troopship in 1915. 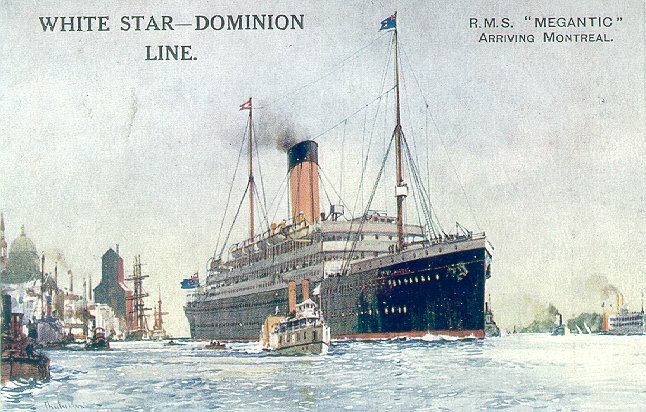 She returned to White Star in December 1918 and after refitting in 1919, returned to the Canadian service from Liverpool and (after 1928) London-Southampton. 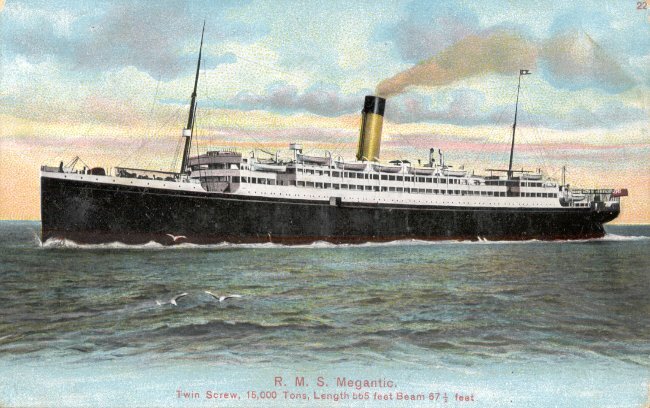 Off-season, Megantic was often used for cruising from New York to the Caribbean and in the 1930's, for economy cruises. 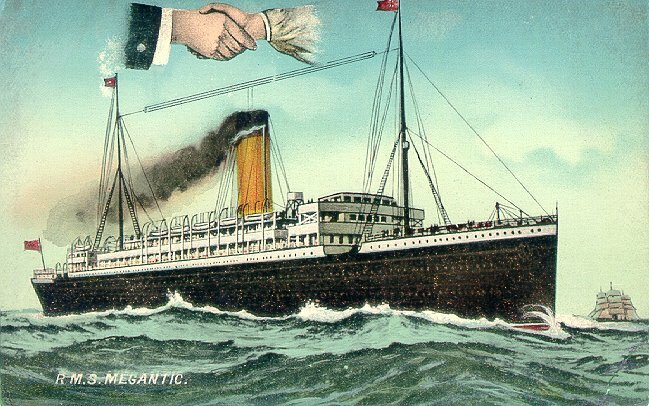 Megantic made her last Atlantic crossing in May 1931 and was then laid up until 1933, when she was sold for scrapping in Osaka.